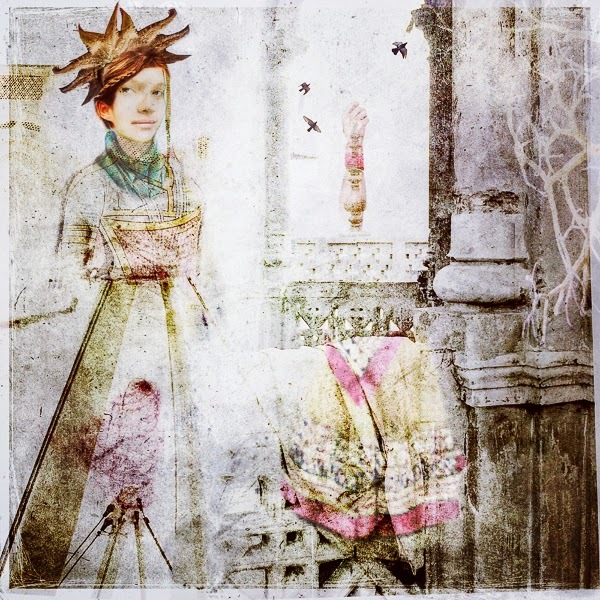 In my second Artist Watch feature this month, I have the great pleasure to introduce to my and Escape Into Life readers the terrific, award-winning work of photographer and mixed-media artist Pamela H. Viola. A resident of the Washington, D.C., area, Pam, who recently returned from a trip to India that has generated many new images, is represented in many public, private, and corporate art collections, including those of the Securities and Exchange Commission, Hyatt Hotels, CBS Television, American Chemistry Council, and Walter Reed National Military Medical Center. Currently, Viola is part of "The Nation's River" exhibit at the Gateway Gallery at Dulles International Airport. Trained informally in a range of artistic disciplines, from painting to printmaking, Viola demonstrates an intuitive feel for the inspired image. Her career includes 15 years in the film industry, where she worked alongside such directors as Ridley Scott and Barry Sonnenfeld. Viola is represented by Hisaoka Gallery at Smith Center for Healing and the Arts, Washington, D.C. In today's Artist Watch at EIL, you will find a selection of images of Viola's pigment prints, including the image above, an Artist Statement, more detailed biographical information, and additional links. Please join me today at TweetSpeak Poetry, where you will find Part 2 of my interview with freelance software designer and programmer Ariel Malka. In today's post, the deep-thinking Malka, who is based in Tel Aviv, Israel, talks with me about the literary texts he wants to explore in digital space, his research and development initiatives, and some prospective long-range implications of his interactive work. He also shares some biographic information about the man behind the software code. Meghan O'Rourke "Inventing a Horse"
Fernando Pessoa "The Book of Disquiet"
David Allen Evans "Girl Riding a Horse in a Field of Sunflowers"
Graham Foust "From a Finished Basement"
Capitalization and punctuation are my own. 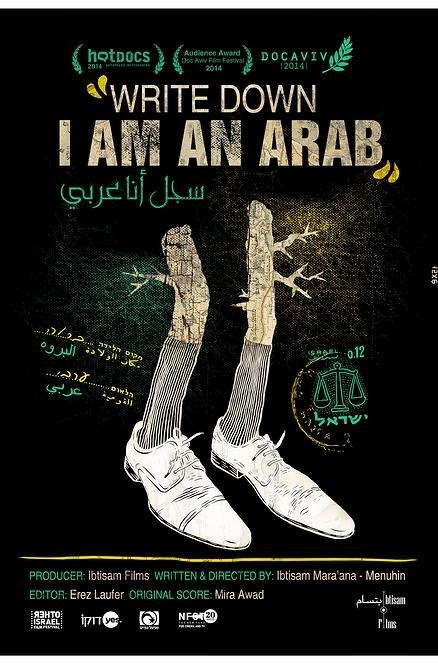 The Palestinian national poet Mahmoud Darwish (1941-2008) is the subject of a new documentary, Write Down, I Am an Arab, by Ibtisam Mara'ana Menuhin. The film premiered this past May at Doc Aviv, a Tel Aviv film festival. Recipient of an Audience Award, it had its world premiere in Toronto, Canada, at HocDocs. According to its Website, the film — its title is taken from Darwish's poem of the same name (see text link below) — "unearth[s] the story behind the man who became the mouthpiece of the Palestinian people" and includes information about the poet's love affair with Tamar Ben-Ami, an Israeli Jew with whom Darwish corresponded; Ben-Ami kept Darwish's letters secret for years. Darwish's own voice is heard in the film in a reading of his extraordinary poem "Identity Card" and in a 1996 interview; other interviews and archival footage are included. Poems from the documentary: "Rita and the rifle", "Identity Card (Write down, I am an arab)", and "I long for my mother's bread". Additional poems (in English translation) are at Festival Internacional de Poesia de Medellin and Big Bridge. Khaled Mattawa, Mahmoud Darwish: The Poet's Art and His Nation (Syracuse University Press, 2014) Mattawa's book is a highly informed and insightful examination of Darwish and his development as a poet. His interpretations of specific poems and their context are especially valuable. always leads home. . . .
Today's short is an animation by Ehsan Akbari of "Frog", a haiku by Basho. My thanks to Silver Birch Press blog for the link. ✦ Born and raised in Switzerland and now a resident of Houston, Texas, paper cutter Catherine Winkler Rayroud astonishes. View images of her intricate and beautiful work, which has won numerous awards. ✦ The letters of Vincent van Gogh are now online. ✦ Watch a slideshow of 153 beautiful paintings by Sir George Clausen (1852-1944). ✦ Inspired by the sculptures of Elizabeth Catlett, jazz bassist Rufus Reid composed the five-movement suite Quite Pride, recorded and released by Motema Music this past February. Read Allison Keyes's interview with Reid, "How Do You Wring Sound from Sculpture? It Takes a 'Quiet Pride'", NPR, May 18, 2014. ✦ Fairy tales rendered in three dimensions are a specialty of Su Blackwell, who also crafts marvelous book sculptures from illustrated volumes of flowers and birds. Blackwell's set designs and installations delight. Read Blackwell's blog to stay informed about her latest creations and exhibitions. ✦ Carter Foster's catalogue Hopper Drawing (Whitney Museum of American Art, 2013) accompanied the first major museum show focused on the drawings and creative process of Edward Hopper. The exhibition appeared at the Whitney Museum, Dallas Museum of Art, and earlier this spring at Walker Art Center. ✭ Monastic bells, swords, drums, and other figurative pieces are on view in "CAUTION! Fragile. Irish Glass: Tradition in Transition", continuing through September 1 at Museum of Glass, Tacoma, Washington. Organized thematically (history, landscape, sound), the exhibition includes photography, oral histories, and collaborations. The exhibition has its origins in a 2010 visiting artist residency by Irish glass artist Roisin de Buitlear, whose work is featured along with that of other artists who also have had residencies at the museum: Irish master glass engraver Eamonn Hartley ("Meet the Artist" video), Waterford Crystal master craftsman Fred Curtis, and Greg Sullivan. 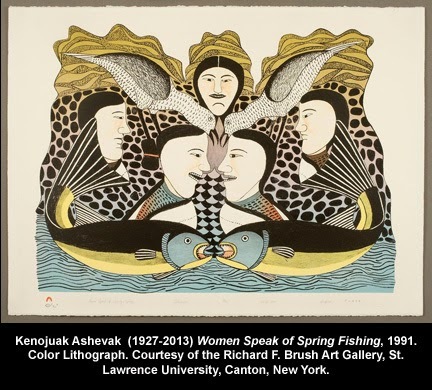 ✭ West Virginia's Huntington Museum of Art is presenting through August 3 "North of Sixty: Canadian Inuit Prints", a selection of 40 prints from the collection of St. Lawrence University, Canton, New York. Offered in conjunction with "Excavations from the Vault" Herman Dean and the Hudson Bay" (continuing through August 24), the exhibition includes work by Pudlo Pudlat, Kenojuak Ashevak, Kananginak Pootoogook, and Kavavaow Mannomee. The prints offer a look both at Inuit life and culture in the Canadian Arctic. ✭ On view through August 10 at Minneapolis Institute of Arts is "New Pictures 9: Rinko Kawauchi", a selection of photographs. Kawauchi's exhibition is her first museum show in the United States. 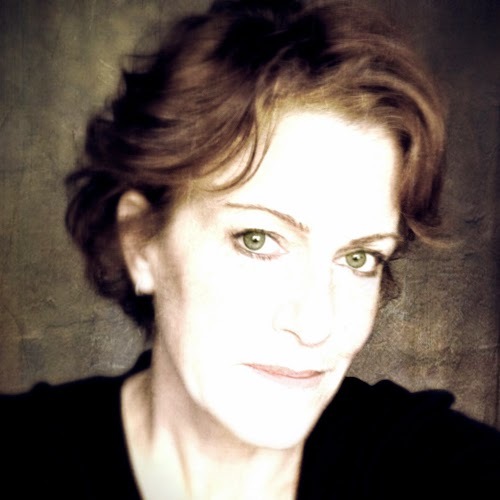 Her books include, most recently, Gift (with Terri Weifenbach; IMA Books, 2014), Sheets (Kominek, 2013), and Light and Shadow and Illuminance, Ametsuchi, Seeing Shadow, both published in 2012. Watch a video in which the photographer talks about her work in the show. ✭ Cantor Arts Center at Stanford University continues its celebration of the 150th anniversary of the Yosemite Grant with "Carleton Watkins: The Stanford Albums", on view through August 17. The exhibition features 83 original large-format prints from three albums of Watkins's work: Photographs of the Yosemite Valley, Photographs of the Pacific Coast, and Photographs of the Columbia River and Oregon. Included in the show are cartographic visualizations created by Stanford's Center for Spatial and Textual Analysis and Bill Lane Center for the American West. A catalogue with 160 photographs accompanies the show. ✭ In Salem, Massachusetts, Peabody Essex Museum is presenting through September 1 "Turner & the Sea", a show of J.M.W. Turner's iconic seascapes. Included are more than 100 works (oils, watercolors, prints, sketches) spanning 50 years, from 1790s to mid-1800s. Works are organized in seven sections: Turner on Show, Charted Waters, 'M' for Marine, Contested Waters, Imagining the Sea, Making Waves, and Atlantic Crossings. A selection of images is available at the exhibition link. This year marks the 100th anniversary of the beginning of World War I, an event that is being commemorated all over the world. Today's Thursday's Three spotlights a trio of centennial exhibitions, current and future, in the United States. ✭ In Norfolk, Virginia, the MacArthur Memorial is observing the centennial with "Under the Rainbow: The 42nd 'Rainbow' Division in the Great War". The exhibition, which continues through September of this year, relates the story of one of the first National Guard units to reach the battlefields of France. Among items on view are the dog tag of poet Joyce Kilmer, killed in 1918 at the Battle of the Marne; German trench armor; and the uniform and equipment of the commander of the 151st Machine Gun Battalion, Lt. Col. Cooper Winn. In November, the museum and research center will host a two-day symposium with an international group of authors and scholars. It also is producing a series of short films covering the global conflict. Its first is The Road to War, which may be seen on YouTube. 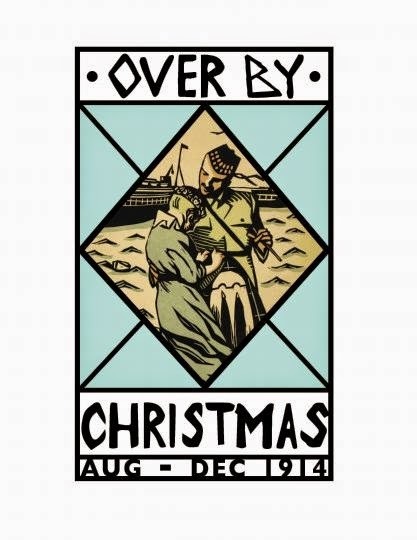 ✭ On view at the National World War I Museum, Kansas City, Kansas, is "Over by Christmas: August-December 1914". Continuing through March 29, 2015, the exhibition on the first five months of the war features a 1914 Prussian flag, a lithograph by French artist Georges Scott, the uniform of a French colonial zouave infantryman, "The Road to Berlin" game, and a German cigar box for Christmas 1914. The museum is continuing through September 14 "On the Brink: A Month That Changed the World", a special exhibition examining the assassination in Sarajevo of Austria's Archduke Franz Ferdinand and the events that unfolded subsequently. Items from nine countries, including the United States, are on view. ✭ The Pennsylvania Academy of the Fine Arts plans to mount "World War I and American Art", the first major exhibition examining American artists' responses to WWI; it will open in November 2016, to coincide with the centenary of United States involvement in the war, and continue through April 2017. Work by George Bellows, Marsden Hartley, Childe Hassam, Man Ray, Norman Rockwell, John Singer Sergeant, Edward Steichen, and others will be featured. A fully illustrated scholarly catalogue will accompany the show. Oil on Canvas, 65-3/16" x80-1/4"
to create something original. . . .
only a matter of motivation. Please join me today at TweetSpeak Poetry blog for Part 1 of my two-part interview with the ever-inspired and inspiring Ariel Malka, whose work has been described as "a fantastic, multidimensional way to get out of the rut of single-perception thinking." A self-taught software designer and programmer of inordinate curiosity, Malka, who was born in France and is based in Tel Aviv, Israel, shows himself to be one of the most creative of off-hours creative coders now exploring the fascinating realm of interactivity in digital space. In today's feature, Malka talks with me about his experiments in "Chronotext" and app-building. Next week, he discusses some of the literary texts that he wants to explore in digital space and his research and development initiatives, including mobile phone and tablet apps. He also shares some biographical information that shines a little light on the man behind the software code. * Quotes are from my interview, which I conducted via e-mail. of distancing, not one word said. I prepared last week the post that follows. It was based on my research into appointee Valerie Macon's background. On July 18, this past Friday, I learned that Macon had resigned because of the considerable dissent — some quite mean-spirited (see articles cited below) — that arose earlier about her prospective incumbency. In a letter to Governor Pat McCrory, Macon emphasized that she did "not want the negative attention that this appointment has generated to discourage or distract attention from the Office of the Poet Laureate." In closing, she urged everyone "to read and write poetry", adding that only "the joy of words and appreciation of self-expression" were needed. If and when an announcement is made of a new appointee, I will contribute an update. It is unfortunate that politics mixed so combustively with poetry, especially in a state that has produced many wonderful poets. Succeeding Joseph Bathanti as North Carolina's Poet Laureate is Valerie Macon, whose appointment was announced July 11. Macon's appointment as the eighth state poet is for two years. She is the third woman to hold the job. Information about the position, which is renewable at the governor's discretion, is found in my Monday Muse post of June 28, 2010, which profiles Cathy Bowers, Bathanti's predecessor. To read my profile of Bathanti, whose term concluded June 30, 2014, see my Monday Muse post of October 15, 2012. The incumbent of the position, who normally undertakes a long-term project of value to the public, is described as the "ambassador of North Carolina literature." A resident of North Carolina for more than three decades, Valerie Macon, a state disabilities examiner with the Department of Health and Human Services, is the author of two chapbooks of poetry: Sleeping Rough (Old Mountain Press, 2014) and Shelf Life (Old Mountain Press, 2011). According to the books' sales pages at Old Mountain, the former is about homelessness and the latter about life's joys and sorrows. Gilbert-Chappell Distinguished Poets Series (FaceBook) This series falls under the aegis of the North Carolina Poetry Society. The program is named for poet Marie Gilbert and former state poet Fred Chappell (1972-2002). and find that the dark, too, blooms and sings, . . . Quoted from Wendell Berry's Poem "To Know the Dark" in The Selected Poems of Wendell Berry (Counterpoint, 1999) The poem was published in 1970 in Berry's Farming: A Handbook. Today's short is the trailer for The Phantom Tollbooth: Beyond Expectations, a documentary by filmmaker Hannah Jayanti about the creation and creators of the much-loved book by author Norton Juster and artist-illustrator Jules Feiffer. The documentary, which incorporates interviews, animation, and archival materials, premiered in New York City on October 6, 2013. Adam Gopnik talks with Juster and Feiffer at The New Yorker Festival (video). ✦ Pilar Acevedo, a painter and collage artist, creates surreal narratives that she says are inspired by her memories, vintage photographs, dolls, poetry, and "unsettling human interactions". 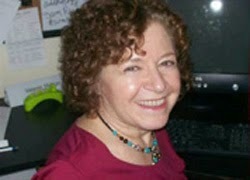 Born in Mexico City, she was raised and currently lives and works in Chicago, Illinois. Images of Acevedo's art may be viewed at her Website and blog. Acevedo's solo exhibition "Fragmentos" at the National Museum of Mexican Art concluded July 13. ✦ The watercolors, drawings, and paintings of Santa Fe's Mary Bonkemeyer are exquisite. Bonkemeyer's exhibition "Decades of Paint" concludes July 27 at North Dakota Museum of Art. ✦ Check out the Street Art Project by Google Cultural Institute. The project includes videos of artists sharing their stories ("Listen to the Street"), high-def imagery ("Get Closer"), mapped locations of street art, likely-to-disappear spaces, and digital exhibits of street art found around the world ("Frame the Walls"). ✦ The National Museum of Women in the Arts, Washington, D.C., has created Total Art Videos to complement its current exhibition "Total Art: Contemporary Video", on view through October 12. The site features mini biographies and works from the 10 innovative artists in the exhibition (Dara Birnbaum, Kimsooja, Mariko Mori, Mwangi Hutter, Alex Prager, Pipilotti Rist, Michal Rovner, Margaret Salmon, Eve Sussman/Rufus Corp., and Janaina Tschape), interviews, and video clips and mini documentaries. The site is a wonderful introduction to the exhibition and an excellent resource. My hope is the museum will maintain it after the exhibition concludes. ✦ The extraordinary monumental sculptor Magdalena Abakanowicz is the third artist chosen for the New York Avenue Sculpture Project, which is under the auspices of the National Museum of Women in the Arts, the Downtown DC Business Improvement District, the DC Office of Planning, and various other local agencies. Abakanowicz's installation will be on view from September 27, 2014, through September 27, 2015. According to a press release, a range of the artist's figurative works is expected to be included and will be dedicated at Community Day, Tuesday, September 30. ✭ Rhode Island's Newport Art Museum has mounted a show of paintings by Elizabeth Congdon. "Elizabeth Congdon: Heaven and Earth" is on view through August 12. Also at NAM are the marine botanicals of Mary Chatowsky Jameson, who describes her work as an examination of marine algae as a contemporary art form. "Mary Chatowsky Jameson: Marine Botanicals", which includes almost 30 originals and Giclee prints, continues through September 1. ✭ Arkansas Arts Center, Little Rock, is presenting the visual poetry of Susan Paulsen in "Susan Paulsen: Wilmot". Paulsen's exhibition, on view through September 28 (previously, it was on view in Paris, France), includes 71 photographs and two wall-size collections of photographic prints made in all seasons of the year in Wilmot, Arkansas, between 1995 and 2012. Wilmot, in southeast Arkansas, is home for part of Paulsen's family. 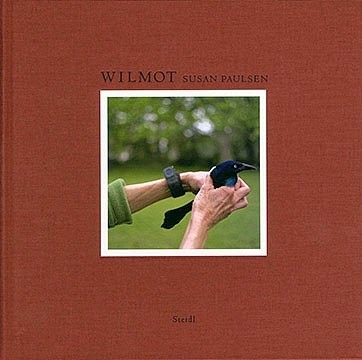 George M. Shackelford, author of the essay for the catalogue Susan Paulsen: Wilmot (Steidl, 2012), writes that "Paulsen has created photographs that have resonance for anyone who looks at them. 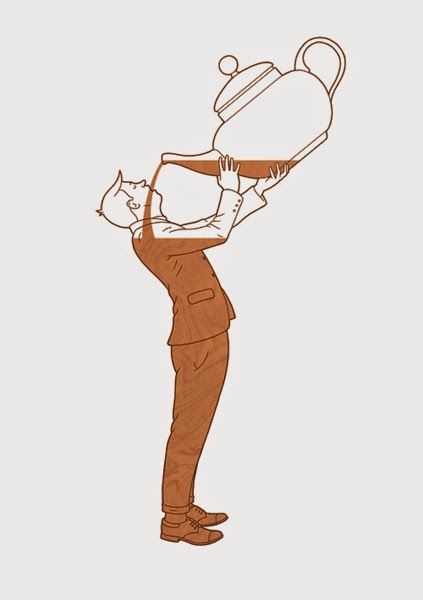 . . That resonance comes not in spite of her involvement with the subject but because of it." Susan Paulsen lives and works in New York. Her other books with Steidel include Sarah Rhymes with Clara (2011). ✭ "Finland: Designed Environments", a look at creative Finnish design over the past 15 years, continues at Minnesota's Minneapolis Institute of Arts. It coincides with FinnFest USA, a celebration of 150 years of Finnish presence in Minnesota. Including furnishings, fashion, craft, and objects and projects by Finnish architects, the exhibition addresses the themes of architecture, urban design, sustainability, and new areas of design. 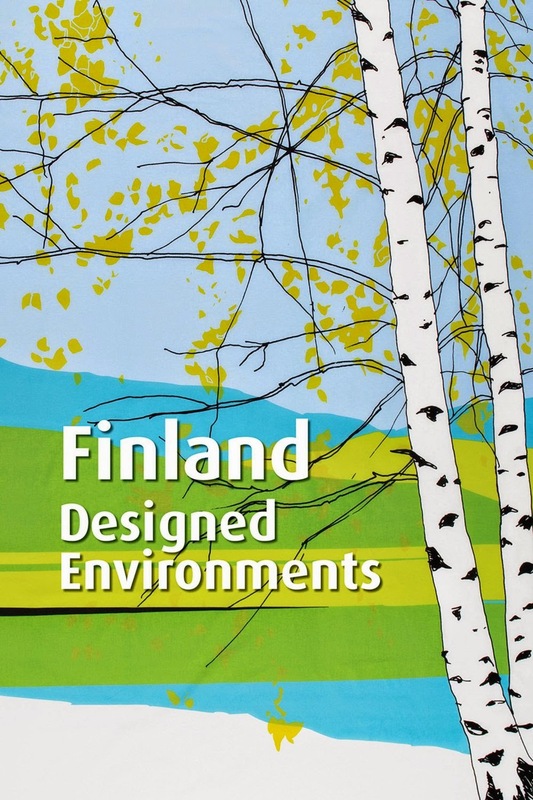 An exhibition preview is available, as is an illustrated e-book, Finland: Designed Environments (MIA, 2014). (The book also is available in print and via iTunes.) A number of exhibition-related videos also are online. ✭ On view through August 31 at Mint Museum, Charlotte, North Carolina, is "Jennifer Steinkamp: Orbit 12", an immersive digitally animated projection installation in which the artist explores ideas about nature, architecture, motion, and perception. Projected on gallery walls, Orbit 12 is described as "constellations of bramble, branches, and leaves [that] swirl and meander like celestial nebulae in constant flux, immersing the viewer. Winter's bare limbs burst forth with colorful blossoms and lush summer canopies give way to autumn's warm brilliance in a never-ending cycle of seasonal dean and rebirth." ✭ North Dakota Museum of Art, Grand Fork, will open "Fractured: North Dakota's Oil Boom" August 3. The exhibition, which will continue through October 12, will feature the photographic work of Terry Evans and the writings of journalist Elizabeth Farnsworth, who have been exploring and documenting the effects and implications of the oil drilling in North Dakota's Williston Basin region. The collaborative exhibition appeared earlier at The Field Museum of Natural History in Chicago. Please join me today at Escape Into Life, where I have posted a new Artist Watch feature. I'm delighted to present the witty, charming, and award-winning illustrations of Edinburgh-born Robbie Porter, who claims he's almost as good now as his primary school friends were way back when. Currently working as a freelancer with an international clientele, Porter also is the author of a children's book, The Librarian's List. Porter, by the way, is just 29 years old. He promises to have a long and lucrative career. At EIL, you'll find eight images of Porter's work, an Artist Statement, a brief and funny biographical statement, and links. Meet Korean-American composer, vocalist, and sound architect Bora Yoon. Classically trained on piano and violin, she is known for her innovative and experimental approach to music-making. In the second video, below, watch Bora Yoon's performance at TED2014 (she is a TED Fellow this year). She uses, in addition to her own vocals, soundscapes created with found objects. Read an interview with Yoon at Tedblog. The seventeenth Poet Laureate of Virginia is Ron Smith, who succeeds Sofia M. Starnes. Appointed by Governor Terry McAuliffe, Smith will serve two years (through June 30, 2016) in the honorary post. His term began officially July 1. In an interview with Richmond periodical Style Weekly, Smith identifies his duties as "encouraging and representing poetry." While expressing relief that a he "won't be called upon to write "The Charge of the Light Brigade", Smith nevertheless adds, "I wish my duties required me to write the 21st century equivalent of Tennyson's "Ulysses" or "The Lady of Shalott"." Information about the legislatively created position is included in my Monday Muse profile of Claudia Emerson (March 1, 2010). Kelly Cherry succeeded her. For my profile of Sofia M. Starnes, see the Monday Muse post of October 1, 2012.
it breaks down the barrier between the inner and the outer. A Virginia resident since 1967, Ron Smith, who also is an essayist and critic, has published three poetry collections: Its Ghostly Workshop (Louisiana State University Press, 2013), Moon Road: Poems 1986-2005 (LSU Press, 2007), and Running Again in Hollywood Cemetery (University Presses of Florida, 1988). The latter, available through resellers, was runner-up for the National Poetry Series Open Competition and Samuel French Morse Poetry Prize. Named in 2011 one of "Best Local Poets", Richmond's Style Weekly describes Smith as "a writer's writer with a keen intelligence and a former college athlete's innate understanding of physicality and the flesh." Clarity is a hallmark of Smith's poetry but note in the example following how Smith also gets us thinking on more than one level, leaves us with more than one meaning in a single line ("This is where we first learned to let go. // And our son is taking us again...."; it's not just about the son learning to drive). in the nervous eye corner. have been numb for miles. This is where we first learned to let go. along the spine of the Blue Ridge. Poems by Smith have appeared nationally and internationally in such periodicals as Ascent, Blackbird, Georgia Review, Kansas Quarterly, The Kenyon Review, The Nation, New England Review, Plume, Poetry Daily, Puerto del Sol, Shenandoah, The Southern Review, The Tampa Review, Verse, and Virginia Quarterly Review. Anthologies in which Smith's work appears include The Plume Anthology of Poetry 2013 (MadHat Press), Kentucky: Poets of Place (2012), Poets for Pound at Sala Capizucchi (University of New Orleans Press, 2011), Helen Vendler's Poems, Poets & Poetry: An Introduction & Anthology (3rd Ed., Bedford Books, 2010), Don't Leave Hungry: Fifty Years of Southern Poetry Review (University of Arkansas Press, 2009), Common Wealth: Contemporary Poets of Virginia (University of Virginia Press, 2003), and Georgia Voices (University of Georgia Press, 2000). Among various awards Smith has received are the Theodore Roethke Prize from Poetry Northwest (1989), the Carole Weinstein Poetry Prize (2005), and the Guy Owen Award from Southern Poetry Review. Smith's poem "The Teachers Pass the Popcorn" (in Moon Road; also anthologized in Helen Vendler's Poems, Poets, Poetry) was nominated for a Pushcart Prize in 2000. Smith also has been a Bread Loaf Scholar in Poetry, a Modern Poetry Association (now, The Poetry Foundation) Poets-in-Person Scholar, and a Roper Graduate Fellow. In addition, he is the recipient of a fellowship from the Virginia Center for the Creative Arts. 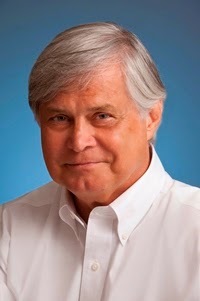 Holder of degrees in English, philosophy, general humanities, and creative writing, Smith is writer-in-residence and George O. Squires Chair of Distinguished Teaching at St. Christopher's School, Richmond, where he has been a faculty member for more than 40 years. He is on boards of advisors for James River Writers and Poetry Society of Virginia. They are at its core. The Sonnet Project, an initiative of the New York Shakespeare Exchange, uses New York City as the backdrop for performances of all of William Shakespeare's 154 sonnets. A different actor performs each poem. Each of the films, which may be seen at the project link and on YouTube, has its own director. The project is available as an app. Below is the R. Jameson Smith's film for Sonnet 14 with Rochelle Slovin; the location is Far Rockaway, Queens. ✦ Seattle-based Melanie Masson describes her project Passage as "a survey of leading lines of the American landscape." Her photographs are beautiful visual essays of her global travels. ✦ An effort is underway to regrow Vincent van Gogh's ear. Read "Ears to a new relic: it's a Van Gogh work to be worshipped". ✦ Once again until Labor Day (September 1), active duty military personnel and their families are entitled to free admissions at museums participating in the Blue Star Museums project, a collaboration between the National Endowment for the Arts, Blue Star Families, the United States Department of Defense, and more than 2,000 museums across America. The national program has been in effect since 2010. ✦ The "Cindy Sherman: Art Intelligence" app is available via iTunes. Described as image-rich, the app "puts the artist's art, life, and times at your fingertips." In addition to the artist's biography, the app provides a hyperlinked bibliography and curated lists of resources, books, films, music, and Websites. ✦ In the video below, artist Rina Baneerjee talks about her sculpture Soldier (2014). Banejee's exhibition "Disgust" recently was on view at LA Louver Gallery. ✭ On view at New York City's Morgan Library & Museum are nearly 100 first editions, manuscripts, revised galley proofs, and letters from the modern American literature collection of Carter Burden. Among the authors featured in the exhibition, "Gatsby to Garp: Modern Masterpieces from the Carter Burden Collection", are William Faulkner, F. Scott Fitzgerald, Langston Hughes, Henry James, Toni Morrison, Gertrude Stein, Tennessee Williams, and Richard Wright. The show continues through September 7. 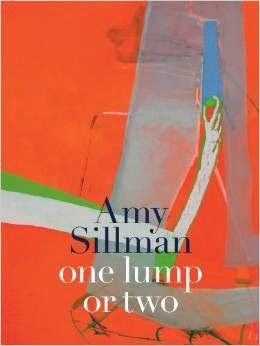 ✭ Bard College's Hessel Museum of Art, Annandale-on-Hudson, New York, is presenting "Amy Sillman: one lump or two", the artist's first museum survey, following her development from the mid-1990s to today. On view through September 21 are more than 90 pencil, ink, and gouache drawings, abstract paintings, 'zines, and animated films on iPhone. The show originated at ICA Boston. A catalogue of the same title, published by Prestel, accompanies the exhibition. It can be purchased through the ICA Store or booksellers. Amy Sillman at Sikkema Jenkins Co.
✭ A selection of large-format oil stick on paper drawings, a large-format copperplate etching, and several recent sculptures, including rubber mask pieces, by Richard Dupont are featured in "Richard Dupont: Object Ritual" at Queens Museum at its satellite site, Bulova Corporate Center. One of the sculptures is Dupont's sold-cast 700-pound form, Cabinet (2012), based on a digital enlargement of the artist's own life mask and created over a 10-year period using found and recycled objects placed in a silicone mold eventually filled with archival resin. The exhibition continues through November 16. 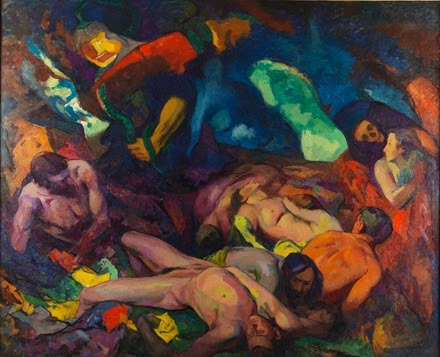 ✭ In Long Beach, California, the Museum of Latin American Art has mounted a show of work by Roberto Fabelo, known as Cuba's Daumier. The exhibition, "Fabelo's Anatomy", running through September 28, is the first solo museum presentation in the United States of Fabelo's surreal imagery, which is described as "a world of wonder" comprising "haunting and unusual creatures" that are "strangely beautiful." ✭ LA Louver Gallery, Venice, California, is setting back the seasons with its exhibition "David Hockney: The Arrival of Spring", on view through August 29. ✭ "Generation: 25 Years of Contemporary Art in Scotland", continuing through October, is occurring throughout the country, in such locations as Aberdeen, Glasgow, Edinburgh, Dundee, Isle of Mull, and Kilmarnock. A full range of work, from collage, drawing, printmaking, photography, and sculpture, to film and video, installation, and performance, may be seen. More than 100 artists are participating. The Website provides information not only on exhibitions and their locations and participants but also free drop-in activities, all organized by month, location, and specific date. The Generation Timeline offers a decade-by-decade look at key artistic events.